See all our indicators in our product catalog. 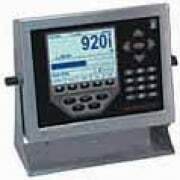 In the scale industry, one type of indicator does not fit all applications. The right indicator makes all the difference. The collection ranges from a simple, no-frills version to full-featured and parts counting models.